I’m here to deliver some bad news: You have no idea what you’re doing. I’ve watched your decision making at buffets, and it’s atrocious. But fear not. I’m here to help. Before receiving some uncommonly insightful wisdom, you’ll need to accept a few facts. First, you just paid too much for mass quantities of below average food. 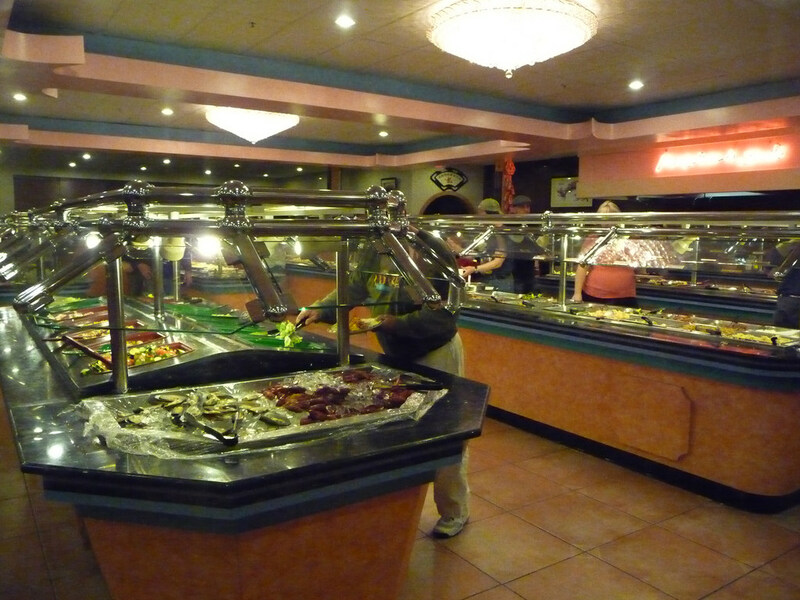 Second, buffets are essentially food casinos. They’re tricking you into thinking everybody wins. But this place wouldn’t be in business unless they were making lots of money on your bloated belly and acid reflux. So obviously, haphazardly filling your stomach is a guaranteed loss. Get away from the salad bar. We all understand. You want us to think you’re health conscious. But your plan failed the moment you entered an establishment that openly celebrates sodium infused gluttony. And we all know there’s no such thing as an MSG diet. So, your feeble attempts to create a fitness facade unwittingly sends an entirely different message. Who pays $15 for iceberg lettuce, bulk croutons, and generic ranch dressing? An ignorant, fiscally irresponsible person, that’s who. Put down the salad tongs and keep moving. It’s better for everyone. Did you just put fruit on your plate? I hate to break this to you, but that guy in a hairnet walking into the kitchen isn’t about to carefully slice imported Hawaiian pineapples. He’s gonna reach for an industrial-sized can opener and crank open a 5-gallon vat of sliced peaches in heavy syrup. If you think that’s money well spent, give me a call. I’ve got tons of canned fruit and vegetables I’d love to sell you. We love garlic bread in my family. For just a couple bucks, I can feed all five kids with a box of frozen Texas Toast. Or for seven times that price, you could gorge yourself on a soggy buffet version of this frozen classic that’s been sitting under a heat lamp for an hour. And don’t believe for a second that the “homemade” rolls were kneaded by a chef and carefully baked. Think mass produced, pre-made balls of dough chucked in the oven. The guy who owns the buffet would love you to fill up on his cheap bread. Don’t let that guy win. If you see pasta, just keep walking. Authentic Italian restaurants are marvelous. They make delicate pasta by hand and create exquisite sauces from scratch. But you won’t find grandma’s secret Sicilian recipe at the family buffet down the street. They’re using the same boxed noodles and jarred sauce you made for the kids last week. Except theirs costs less because they purchase it by the truckload. So go ahead, eat that plate full of dramatically overpriced factory made spaghetti. Then keep telling yourself it’s all worth it because you didn’t have to boil your own water. Don’t worry, I understand. Parents are supposed to ensure their kids eat a well-balanced diet. But parents are also supposed to teach their kids fiscal responsibility. Nobody in their right mind would pay buffet prices for cubed jello, applesauce, and french fries. Suspend your family rules the instant you walk into a buffet, and set those picky little eaters loose at the dessert counter. Cheer for them as they gleefully inhale plates full of pie, cookies, ice cream, brownies, and doughnuts. Then pat yourself on the back for beating the system. You just paid child prices for expensive desserts. And any cost differentials are more than covered by your kid’s loud declarations that you’re the best parent in the entire world. Pot roast. Meatloaf. Prime rib. Made to order steaks. Shrimp. Crab legs. They may be overcooked, deep fried, or moderately flavorless. But we all know they paid way more for the crab legs than the canned peaches and frozen garlic bread. Their business thrives because you still hear your mother’s voice telling you to eat vegetables. Don’t listen to your mother. Let the seafood and meat overflow from your curiously small plate. Then keep going back for more. And more. There’s no need to keep blindly following the masses as they bumble past the warming trays, serving spoons and sneeze guards. It’s time to give your post-buffet indigestion some deeper meaning. My 6 pronged strategy is the key to making it happen. Don’t listen to your mother?! Ahhhhhhhhh!